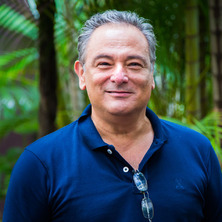 Associate Professor Alan Pegna is a neuropsychologist whose interests lie in the field of cognitive neuroscience and clinical neuropsychology. After receiving a Masters degree in Psychology from the University of Geneva (Switzerland) and a second Masters degree in Human Physiology from University College London (UK), he obtained his PhD from the University of Geneva, using brain imaging techniques to study spatial processing in both healthy controls and brain-damaged patients. He worked for over 20 years as a clinical neuropsychologist at Geneva University Hospital, and as an academic at the University of Geneva, where he supervised numerous research projects in the field of visual processing, again in healthy participants and in persons with focal brain lesions. He joined UQ in 2015, where he now explores the neural basis of visual and spatial processing of emotional stimuli. More specifically, using EEG, he examines the brain's response to different facial expressions, as well as to faces that vary in their perceived approachability (e.g., their apparent trustwothiness). When possible, these studies are also carried out with brain-damaged individuals, in order to investigate the role of particular brain regions in these processes. Evidence has shown that the amygdala is responsible for the rapid detection of threat and emotion, however hard evidence is lacking to confirm this idea. This project will examine the electrical brain response to emotional stimuli in healthy individuals as well as patients who have undergone surgical removal of their amygdala (amygdalectomies). The aim will be to establish whether the amydgala indeed contributes to the rapid processing of the visual stimuli. Evidence has shown that the amygdala is responsible for the rapid detection of threat and emotion. One question that arises is whether this process is a prequisite for attention shifting. This project will investigate the electrical coorelate of attention-shifting in healthy individuals as well as patients who have undergone surgical removal of their amygdala (amygdalectomies). The project aims to determine if amydgala removal affects the automatic shift of attetion towards threatening stimuli.. It has been known for some time that different brain regions process stimuli according to whether they are situated in near (peripersonal) or far (extrapersonal) space. Furthermore, evidence has demonstrated the existence of a personal spatial boundary that, when crossed by another individual, creates a sense of discomfort. Using ERP in conjunction with Virtual Reality, this project will examine the brain response to neutral and emotionally expressive faces, as well as trustworthy and untrustworthy faces, situated within or beyond personal space. Can post-ictal memory predict post-operative memory in patients with temporal lobe epilepsy? Pegna, AJ and Landis, T (2002) Visuospatial processing and right hemisphere specialisation. Revue De Neuropsychologie, 12 2: 213-240. Pegna, AJ, Caldara-Schnetzer, AS, Perrig, SH, Lazeyras, F, Khateb, A, Mayer, E, Landis, T and Seeck, M (2002) Is the right amygdala involved in visuospatial memory? Evidence from MRI volumetric measures (vol 47, pg 148, 2002). European Neurology, 47 4: 243-243. Blanke, O, Pegna, A, Marcoz, JP, Landis, T and Seeck, M (1999) Increased focal interictal discharges during specific cognitive tasks. Neurocase, 5 1: 13-19. Pegna, AJ, Khateb, A, Spinelli, L, Seeck, M, Landis, T and Michel, CM (1997) Unraveling the cerebral dynamics of mental imagery. Human Brain Mapping, 5 6: 410-421. Sveikata, L., Kavan, N., Pegna, A. J., Seeck, M., Momjian, S., Schaller, K. and Vulliemoz, S. (2018). Individual prediction of post-operative verbal memory decline in temporal lobe epilepsy: the contribution of post-ictal memory testing. In: 4th Congress of the European-Academy-of-Neurology (EAN), Lisbon Portugal, (497-497). Jun 16-19, 2018. Leek, Charles, Roberts, Mark and Pegna, Alan (2016). Stereo disparity modulates evoked potentials associated with the perceptual classification of 3D object shape: a high-density ERP study. In: Perception. , , (366-366). .
Bolmont, M., Bianchi-Demicheli, F. and Pegna, A. (2014). ALTHOUGH WOMEN COME FROM VENUS AND MEN FROM MARS, BOTH DESIRE IN THE SAME DIRECTION: AN ORIGINAL AND EXPLORATORY EYETRACKING STUDY. In: , , (95-95). .
Yeh, Su-Ling, Zhou, Jifan, Li, Kuei-An, Tien, Yung-Hsuan, Chen, Yi-Huan, Lin, Yih-Shiuan and Pegna, Alan (2014). Semantic processing of invisible words under interocular suppression: Evidence from evoked-related potentials. In: , , (261-261). .
Pegna, A., Hervais-Adelman, A., Lore, L., Del Zotto, M. and de Gelder, B. (2012). Amygdala response for faces in a patient with cortical blindness. In: , , (210-210). .
Lopez, U., Descloux, V., Pegna, A. and Maurer, R. (2010). Incomplete development from topological to metric representation of space - a case report. In: 14th Congress of European-Federation-of-Neurological-Societies, Geneva Switzerland, (205-205). Sep, 2010. Khateb, A., Pegna, A. J., Michel, C. M., Landis, T. and Annoni, J. M. (2008). Dissociating the semantic relation and language effects in the bilingual brain: an event-related potential study. In: 12th Congress of the European-Federation-of-Neurological-Societies, Madrid Spain, (29-29). Aug 23-26, 2008. Seeck, Margitta, Vulliemoz, Serge, Prilipko, O., Herrmann, F., Pollo, Claudio, Landis, T. and Pegna, A. (2008). POST-ICTAL VERBAL MEMORY IS PREDICTIVE OF MEMORY DECLINE AFTER TEMPORAL LOBE EPILEPSY SURGERY. In: 62nd Annual Meeting of the American-Epilepsy-Society, Seattle Wa, (63-63). Dec 05-09, 2008. Vulliemoz, Serge, Pegna, Alan J., Yilmaz, Hasan, Willi, Jean-Pierre, Spinelli, Laurent, Landis, Theodor and Seeck, Margitta (2007). Selective amobarbital test in the anterior choroidal artery: Perfusion pattern assesssed by intra-arterial SPECT and predictive value on post-operative memory. In: 59th Annual Meeting of the American-Academy-of-Neurology, Boston Ma, (A97-A97). Apr 28-May 05, 2007. Christe, B., Hauert, C.-A., Pegna, A. J. and Burkhard, P. R. (2007). Impaired information processing as a key determinant of akinesia in Parkinson's disease. In: 11th International Congress of Parkinsons Disease and Movement Disorders, Istanbul Turkey, (S194-S194). Jun 03-07, 2007. Do postictal neuropsychological tests predict postsurgical memory performance in epileptic patients with pharmacoresistant temporal lobe epilepsy? Prilipko, O, Herrmann, F, Pegna, A and Seeck, M (2006). Do postictal neuropsychological tests predict postsurgical memory performance in epileptic patients with pharmacoresistant temporal lobe epilepsy?. In: 58th Annual Meeting of the American-Academy-of-Neurology, San Diego Ca, (A322-A322). Apr 01-08, 2006. Prilipko, O, Seeck, M, Mermillod, B and Pegna, A (2006). Postictal but not interictal hemispatial neglect in patients with seizures of lateralized onset. In: 58th Annual Meeting of the American-Academy-of-Neurology, San Diego Ca, (A343-A343). Apr 01-08, 2006. Selective amobarbital test in the anterior choroidal artery: Is it predictive of postoperative memory? Vulliemoz, S., Annoni, J., Willi, J., Landis, T., Yilmaz, H., Pegna, A. and Seeck, M. (2006). Selective amobarbital test in the anterior choroidal artery: Is it predictive of postoperative memory?. In: 7th European Congress on Epileptology, Helsinki Finland, (24-24). Jul 02-06, 2006. Petit, LS, Harris, IM and Pegna, AJ (2005). Anatomical limitations and cerebral processes in mental transformations of body parts. In: , , (285-285). .
Raymond, JE, Gomez-Cuerva, J, Jackson, M and Pegna, A (2005). Angry faces are easier to identify than happy faces. In: , , (170-170). .
Khateb, A, Annoni, JM, Pegna, AJ, O'Dochartaigh, SD, Landis, T and Michel, CM (2002). Semantic processing of categorical and associative relationships: A brain mapping study. In: , , (121-122). .
Khateb, A, Michel, CM, Pegna, AJ, Landis, T and Annoni, JM (2001). Dynamics of brain activation during a word and image recognition task: An electrophysiological study. In: , , (S550-S550). .
Pegna, AJ, Khateb, A, Caldara-Schnetzer, AS, Landis, T and Michel, CM (2001). Time course of visual processing for real and illusory contours as determined by event-related potential analysis. In: , , (S926-S926). .
Seghier, ML, Lazeyras, F, Pegna, AJ, Zimine, , Delavelle, J, Mayer, E, Annoni, JM and Khateb, A (2001). fMRI on patients with lesions involving language areas: Implications for neurosurgery. In: , , (S836-S836). .
Annoni, JM, Khateb, A, Pegna, AJ, O'Dochartaigh, S, Landis, T and Michel, CM (2001). Analysis of brain activity during processing of categorical and associative semantic relations. In: , , (271-271). .
Caklara, AS, Pegna, AJ, Annoni, JM and Landis, T (2000). Subjective contours of the kanisza type induce perceptual errors in variations of the Ponzo and Poggendorf illusions. In: , , (72-72). .
Blanke, O, Pegna, A, Spinelli, L, Perrig, S, Landis, T and Seeck, M (1999). Electrical cortical stimulation of the human prefrontal cortex evokes complex visual hallucinations. In: , , (146-146). .
Khateb, A, Annoni, JM, Landis, T, Pegna, AJ, Custodi, MC, Fonteneau, E, Morand, SM and Michel, CM (1998). Spatio-temporal analysis of electric brain activity during semantic and phonological word processing. In: , , (28-28). .
Qayoom, Z, Pegna, A, Annoni, JM, Slosman, D, Allaoua, M, Landis, T and Seeck, M (1996). Postictal neuropsychological examination is a highly localizing tool in presurgical epilepsy evaluation. In: , , (1031-1031). .
ANNONI, JM, PEGNA, A, ESTADE, M and LEFLOCH, J (1994). MOTOR PERSEVERATIONS AND OTHER MOTOR INTENTIONAL DISORDERS IN PATIENTS WITH SINGLE CEREBRAL-LESIONS. In: , , (247-248). .
BINDMAN, LJ, DEDICOAT, M, HAMIDUDDIN, RB, HARNETT, PR and PEGNA, A (1990). THE EFFECT OF NORADRENALINE ON SYNAPTIC TRANSMISSION IN SLICES OF RAT NEOCORTEX INVITRO. In: , , (P97-P97). .
MESSERLI, P and PEGNA, A (1986). EAR ADVANTAGE - HEMISPHERIC DOMINANCE AND COGNITIVE STRATEGY. In: , , (130-130). .